TechInAfrica – This week, there were 11 startups that finally graduated from Google’s Launchpad Accelerator Africa Program after engaging in for three months. The 11 startups were on Class 2 where they were assisted by 48 mentors from 9 different countries, including Ghana, Kenya, Senegal, South Africa, Tunisia, the UAE, the UK, and the US. The graduation program was held in Ghana. Graduating from the program, the startups did not just go with nothing. They have collected $110,000 in funding from Google. Moreover, they have uncovered 253 job opportunities and received a total of $12 million calculated from before and during the program. The Google’s Launchpad Accelerator Africa Program was first announced in July 2017 and will keep continuing until 2020. Per year, there are at least 10 to 12 startups engaged in the program where they receive a fund of $3 million, and more importantly, have an access to advisers from Google, Silicon Valley, as well as Africa for about three years. An addition to that, they also get PR support during the program. Since April 2016, Google has held at least 13 Launchpad Build and Start events in the three African countries, including Kenya, Nigeria, and South Africa as its commitment to support economic development ecosystem in Sub-Saharan Africa. During the events, there were a total of 228 speakers and 590 attendees from local startups in each country engaged in the program. Not only does Google run Launchpad Build and Start events but also other programs including Women Tech Makers and Google Developer Groups, allowing them to have real-life job competency requirements. Moreover, it also provides these tech developers some training that will help them develop their skills. The program is eligible for tech startups within 17 African countries, including Algeria, Botswana, Cameroon, Côte d’Ivoire, Egypt, Ethiopia, Ghana, Kenya, Morocco, Nigeria, Rwanda, Sénégal, South Africa, Tanzania, Tunisia, Uganda, and Zimbabwe. 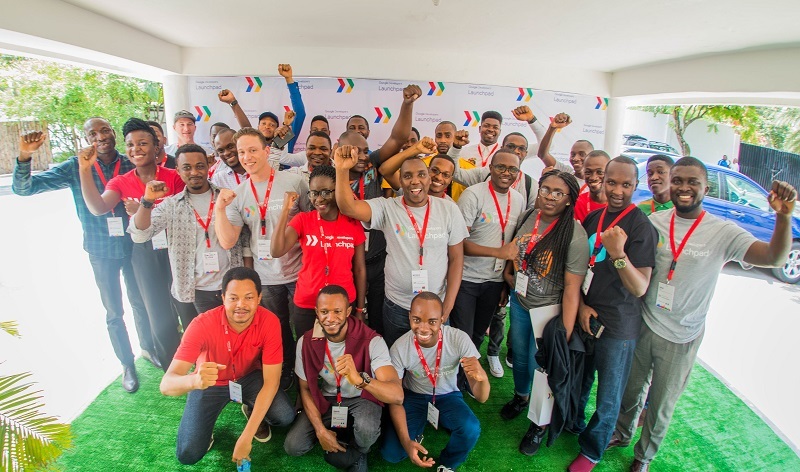 The 11 Startup Graduates of Google’s Launchpad Accelerator Program are including: AppZone (Nigeria), Chalkboard Education (Ghana), Cloud9xp (Kenya), EzyAgric (Uganda), Formplus (Nigeria), Medsaf (Nigeria), Mintrics (Egypt), PayGo Energy (Kenya), Pineapple (South Africa), Preeva (South Africa), and Thank U Cash (Nigeria).